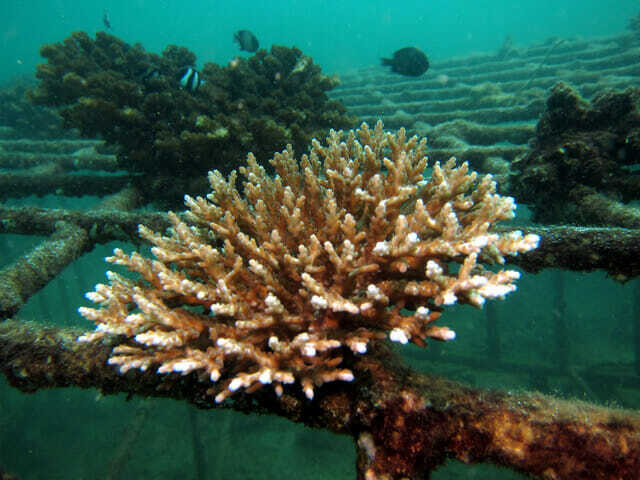 Because it directly stimulates the natural energy-generating mechanisms of all forms of life, GCRA’s Biorock electrical reef regeneration technology is the only method known that can grow Coral Arks to save species from extinction. Other coral restoration methods work only as long as it never gets too hot, muddy, or polluted, but the corals die from heat stroke when their temperature limits are exceeded, while most Biorock reef corals survive. The Biorock method keeps entire reefs alive when they would die, providing high coral survival when 95-99% of surrounding reef corals bleach and die from heat shock. It also grows back dead reefs and severely eroded beaches at record rates in places where there has been no natural recovery. Current projects are now being operated in Indonesia, Bali, Jamaica, the Republic of Maldives, Papua New Guinea, Seychelles, Phuket, Thailand, Mexico and Grenada. The only effective alternative for coastal protection is to mimic Nature’s best method of shore protection and beach growth, coral reefs in the tropics and oyster reefs in cold water. These are complex structures with open spaces inside that refract waves instead of reflecting them, absorbing the energy of waves passing through them so that when they reach the shore they deposit sand instead of eroding it. Biorock coral reefs grown in front of severely eroding beaches with erosion cliffs, where the sand was mostly gone, trees were falling into the sea, and buildings being moved inland before they could collapse, grew back the beach sand naturally at record rates in just months, increasing beach height up to 1.5-2 meters, beach width by up to 20 meters, and beach length up to 150 meters. 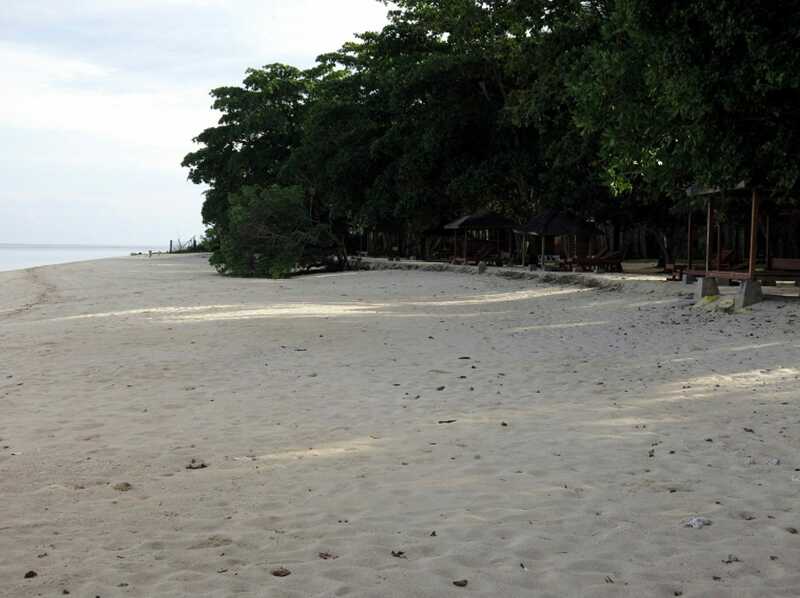 Rapid regeneration of severely eroded beaches was first done in the Maldives (Goreau and Hilbertz, 2005), Lombok, Indonesia (Goreau et al., 2012), and Sulawesi, Indonesia (Goreau & Prong, 2017). Concave eroding beaches became convex and growing in a few months, and have continued to steadily grow even under heavy wave and current conditions that should erode them. Biorock reefs cause sand growth by dissipating wave energy through refraction and diffraction without the reflection that causes scour and erosion, by driving wave fronts out of coherence, and by greatly increasing production of sand by calcareous algae and other organisms. Corals, beach sand-producing algae, seagrass, and all forms of reef life are attracted and grow rapidly. Social factors such as education and the active participation of fisher and coastal communities are key reasons for success of some reef conservation projects. GCRA places top priority on working closely with indigenous cultures, especially sea peoples, around the world, to give them access to the best scientific knowledge and new techniques for restoring their own ecosystems and preserving their ancient knowledge, while acquiring new concepts and methods that can empower them to adapt to global climate change on their own terms. One example is the Pemuteran Bay Coral Protection Foundation, started in response to the collapse of the local fishing industry near the Pemuteran community in Bali, due in large measure to coral reef loss from sedimentation, rising water temperatures, and unsustainable fishing methods such as reef bombing. The organization oversees more than 70 Biorock coral reefs, which have restored fish stocks and marine biodiversity. The chain effect of connecting the artificial reefs has helped to rejuvenate local subsistence fishing livelihoods. Hundreds of community members have been trained in artificial reef building. The community has created a de facto locally managed marine protected area, with community enforcement of regulations that prohibit destructive fishing practices. 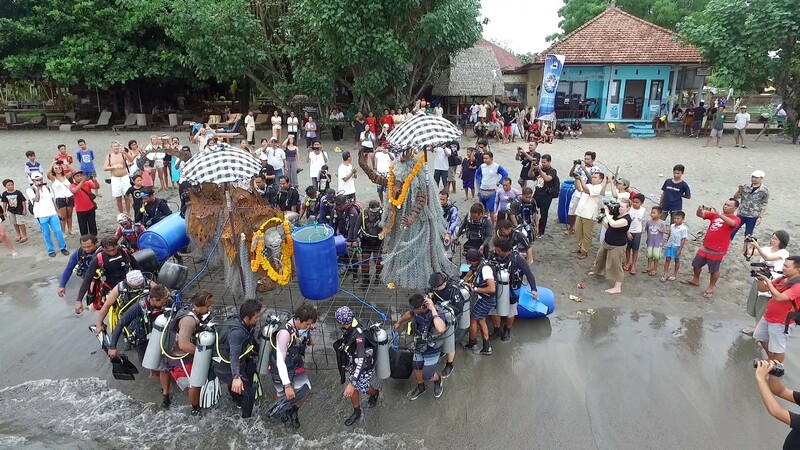 An ecotourism enterprise draws scuba divers from around the world and provides an additional source of income. Ecotourism revenues have been reinvested into local schools, environmental education, and shoreline restoration projects to control erosion.